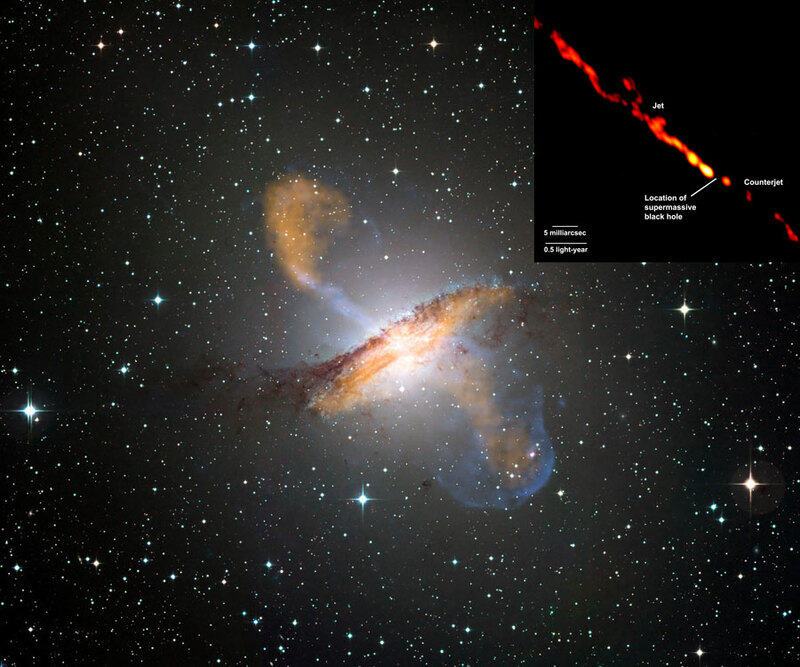 Explanation: Jets of streaming plasma expelled by the central black hole of a massive spiral galaxy light up this composite image of Centaurus A. 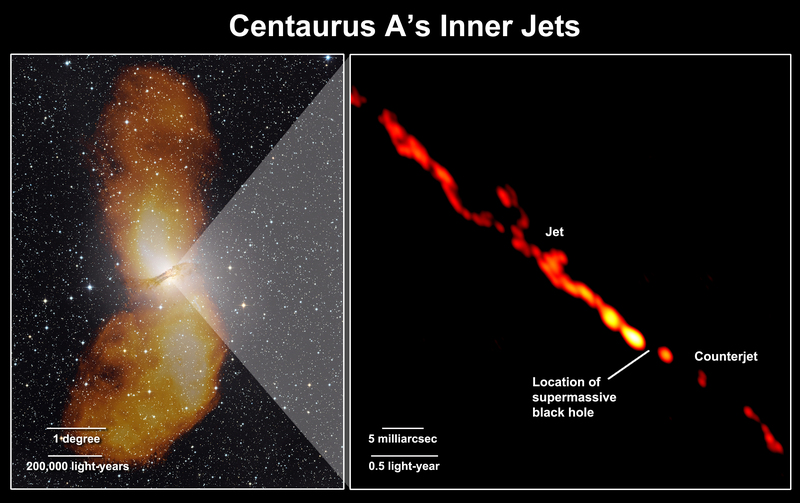 The jets emanating from Cen A are over a million light years long. Exactly how the central black hole expels infalling matter is still unknown. After clearing the galaxy, however, the jets inflate large radio bubbles that likely glow for millions of years. If excited by a passing front, radio bubbles can even light up again after a billion years. 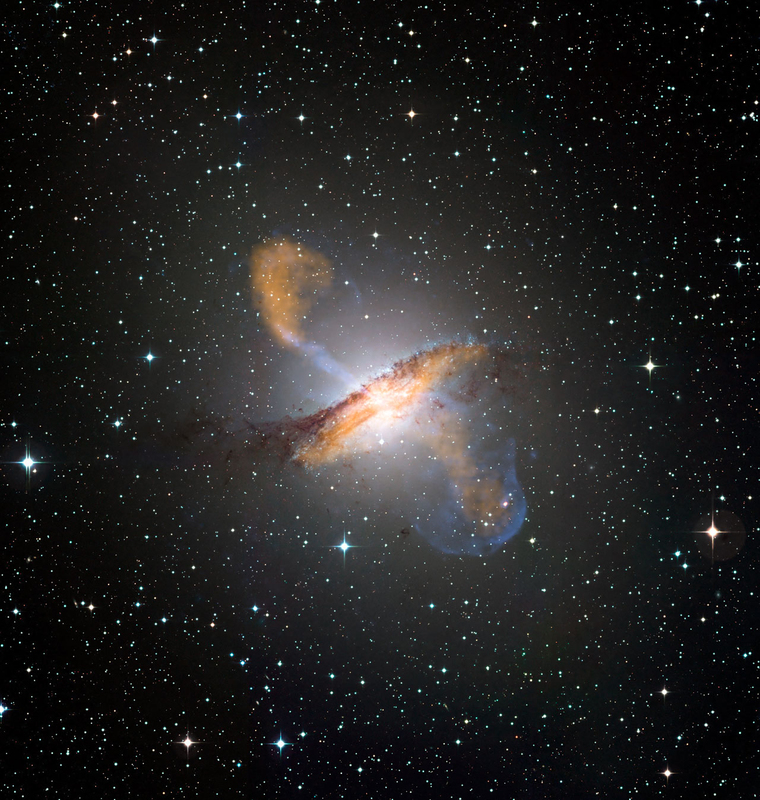 X-ray light is depicted in the above composite image in blue, while microwave light is false-colored orange. The inset image in radio light shows newly imaged, never seen-before details of the innermost light year of the central jet.